It’s been a while since we’ve had a smoothie here!! 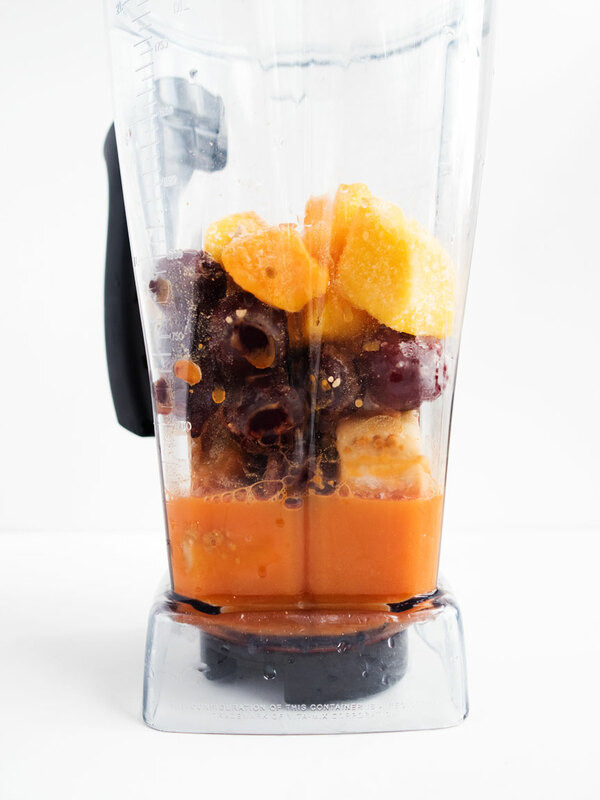 Two of my favorites in smoothies these days are frozen cherries and CARROT JUICE! Both are so tasty and, at least for me, introduce some unusual/different flavors into smoothies. 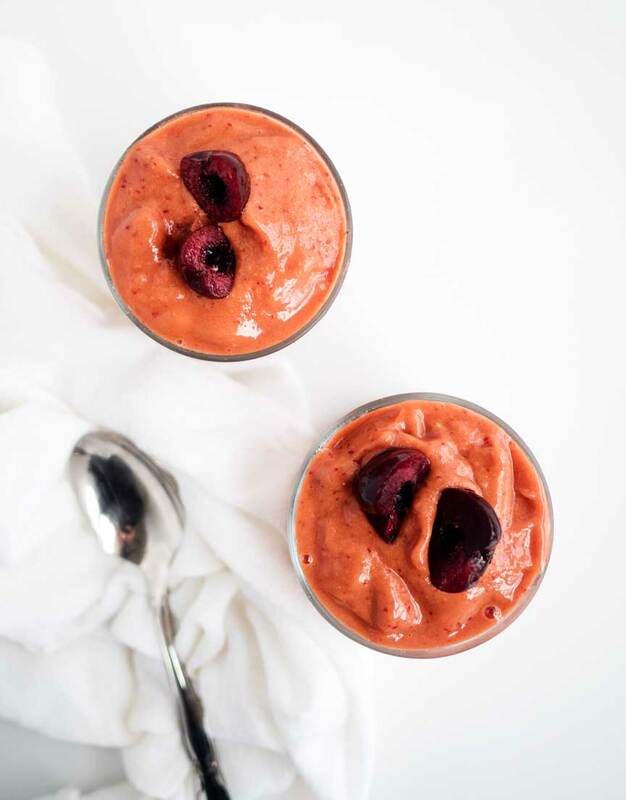 This cherry maca smoothie recipe is super straightforward: cherries, mango, maca, banana, carrot juice! That’s it! 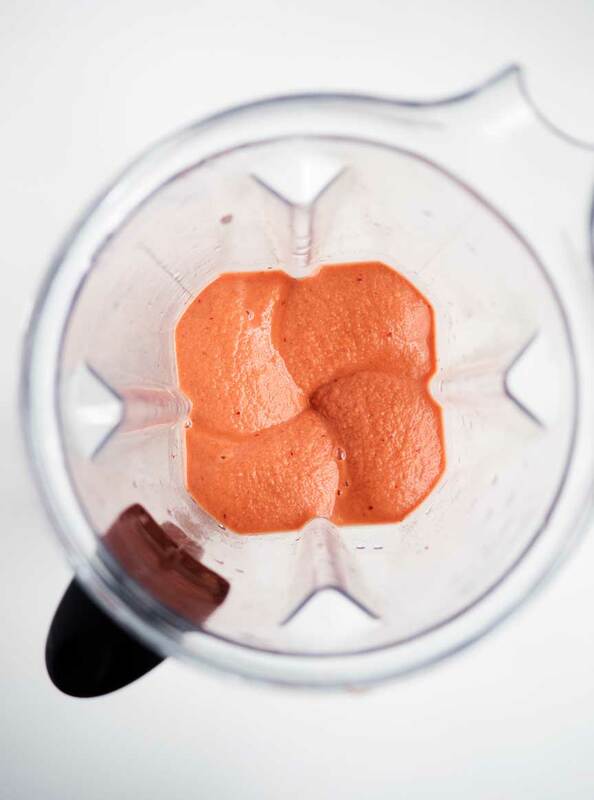 You know how to make a smoothie — get after it! 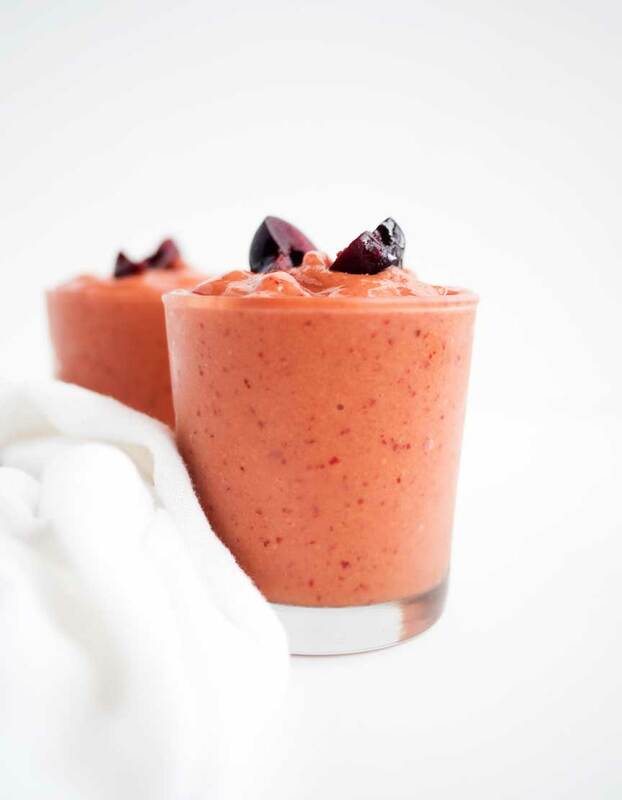 Break away from boring smoothies with this tangy cherry maca smoothie! Carrot juice is a great healthy addition to smoothies, and brings a deep flavor that works well with cherry. Top this with granola and more fruit if you want to make it into a smoothie bowl! Thanks, Mary. This looks perfect to make after the gym. I will make it. Also, I know that you can add any fruits you want with little greens and some kind of liquid (water, almond milk, etc) and blend. Some people add ice, but I prefer them without – or I’ll add some frozen fruit if I feel like a cold smoothie. I agree — I’m not big on ice in smoothies. Thanks, Paula!